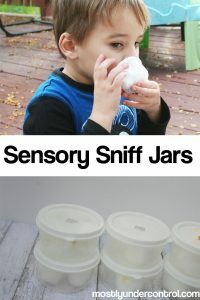 Smelling jars are a great way to allow your child to explore their sense of smell. 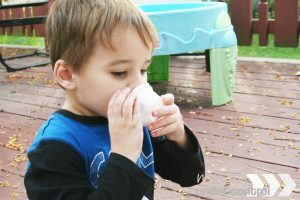 We love sensory activities in our house, but often times we forget about the sense of smell. These smelling jars are so easy to put together and can be played with anywhere. 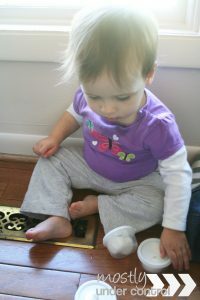 If you are a regular reader around here, you know that I love sensory activities. I will spare you with the details as to why because I’m pretty sure I’ve shared that 100 times. 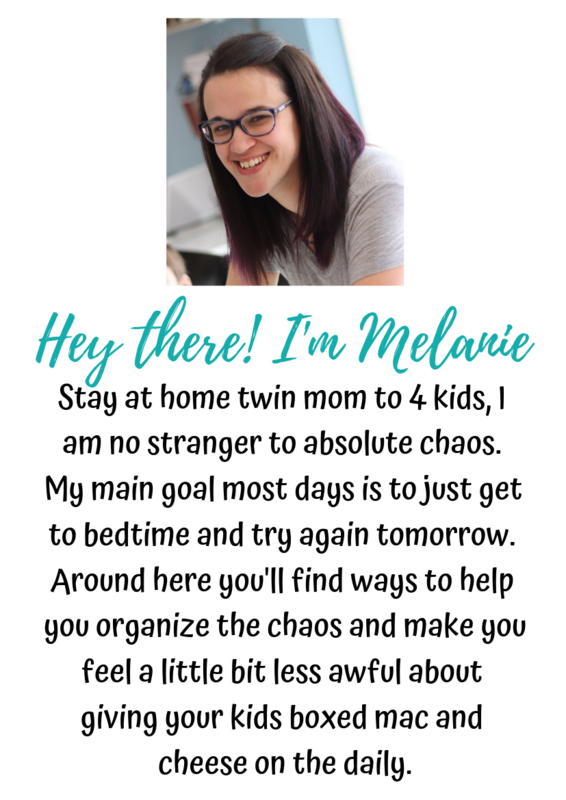 I took a little break with sensory activities because I felt like it was all I was doing. It took over all of my educational posts. I was a woman obsessed! It’s just so fun to watch the looks on kid’s faces as they cram their hands into some gooey substance or the way their nose turns up with they smell something super gross! Oh, sorry…I said I would spare you my reasons. I haven’t really done a sensory activity with the sense of smell. I’ve done plenty with touch. 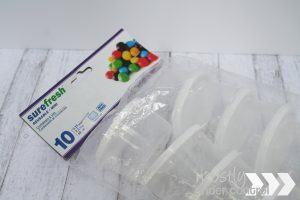 The Dollar Tree has these little snack containers in their food storage section. I have absolutely no idea what you would store in them because they are so tiny. But naturally, I snagged them up thinking I would use them at some point in my life. I mean, it was 10 containers for $1! 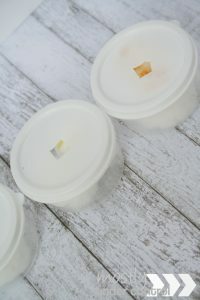 I remember doing a sensory activity when I taught with little jars and holes in the cap. We put different extracts onto cotton balls and plopped them into the jar. The kids loved them! We diffuse oils around here from time to time (read: when I remember to fill it) so I decided to recreate this project, but with oils. BOOM. I took the little containers and a razor and sliced a small square hole out of the top. I put cotton balls inside each container (2 cotton balls per container) and dropped some oils onto the cotton balls. Some cotton balls got 2 drops, some got 10 drops. Of course since it was actually supposed to be an infant project, Dylan stepped in to “help” and then couldn’t get enough of them. He would sniff one and then try to tell me what it was. Reagan tried to eat them. Because she’s 1. She honestly had a lot more fun stacking them then actually smelling (read: eating) them. We used lime, orange, lavender, blends, cinnamon bark (yuck)….we had a lot of fun putting it together.